Tom Madison was born in 1929 in Austin, Texas. He was commissioned a 2d Lt in the U.S. Air Force through the Air Force ROTC program on November 25, 1952, and went on active duty beginning January 1, 1953. Lt Madison next completed pilot training in January 1954, and C-119 Flying Boxcar training in June 1954. He served as a C-119 pilot from June 1954 to March 1956, and then served as a Special Weapons Instructor with the 3525th and 4530th Combat Crew Training Groups at Williams AFB, Arizona, from April 1956 to August 1960. 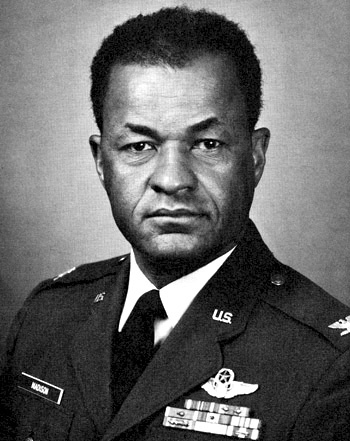 Capt Madison next served as an Academic Instructor and Instructor Pilot with the 4516th, 4517th, and 4521st Combat Crew Training Squadrons at Luke AFB, Arizona, from August 1960 to February 1964, followed by F-105 Thunderchief Combat Crew Training from February to April 1964. His next assignment was as an F-105 pilot with the 9th Tactical Fighter Squadron at Spangdahlem AB, West Germany, from May 1964 to February 1967, and then as an F-105 Wild Weasel pilot with the 357th Tactical Fighter Squadron at Takhli Royal Thai AFB, Thailand, from February 1967 until he was forced to eject over North Vietnam and was taken as a Prisoner of War on April 19, 1967. After spending 2,147 days in captivity, LtCol Madison was released during Operation Homecoming on March 4, 1973. He was briefly hospitalized to recover from his injuries at March AFB, California, and then served as Special Assistant to the Deputy Commander for Logistics of the 58th Tactical Fighter Wing at Luke AFB from August 1973 to January 1974. Col Madison then received an Air Force Institute of Technology assignment to complete his master's degree at Arizona State University from January 1974 to June 1976, followed by service as Director of Accounting and Finance with the Deputy Chief of Staff Comptroller at Headquarters U.S. Air Forces in Europe at Ramstein AB, West Germany, from June 1976 to May 1979. His final assignment was as Director of Accounting and Finance with Headquarters Pacific Air Forces at Hickam AFB, Hawaii, from May 1979 until his retirement from the Air Force on November 1, 1983. Major Thomas M. Madison distinguished himself by gallantry in connection with military operations against an opposing armed force as an F-105F Pilot near Hanoi, North Vietnam on 19 April 1967. On that date, with complete disregard for his personal safety, Major Madison aggressively engaged surface-to-air missile sites threatening the fighter-bomber force in the target area, and successfully placed his ordnance directly on a surface-to-air missile installation. 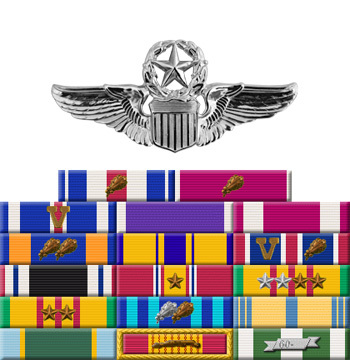 By his gallantry and devotion to duty, Major Madison has reflected great credit upon himself and the United States Air Force.